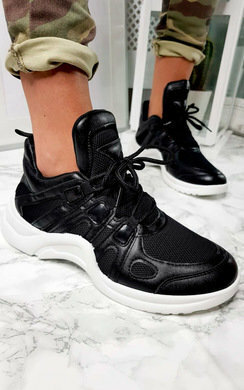 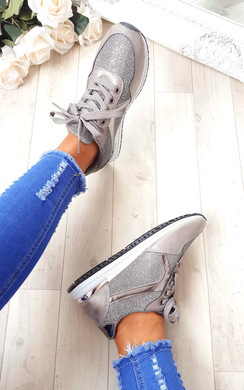 One style of footwear that you can never go wrong with is the trusty trainers. 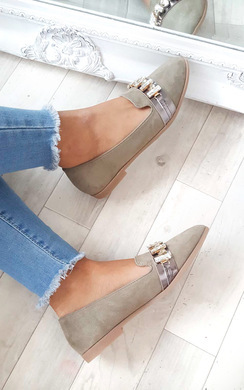 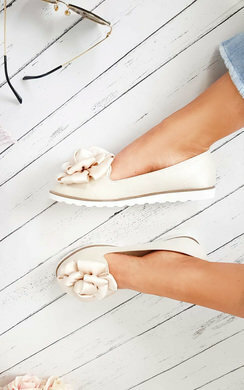 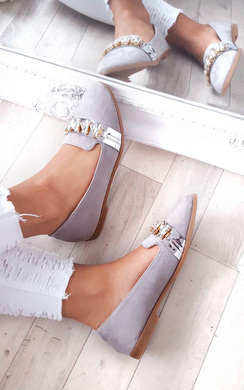 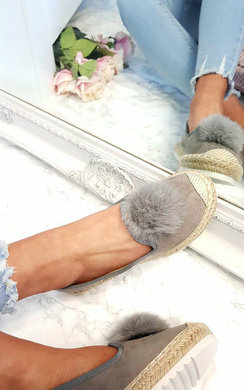 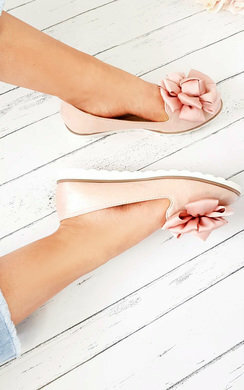 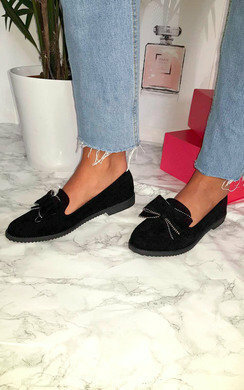 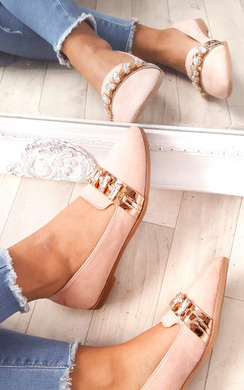 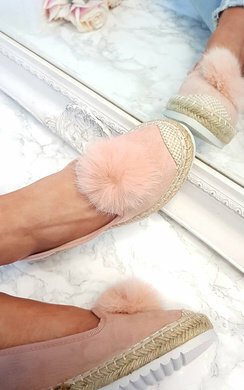 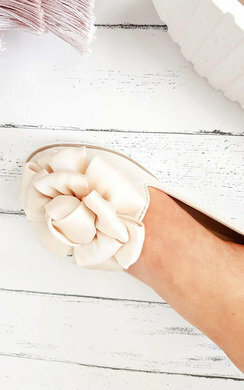 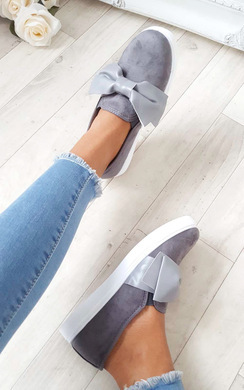 This is one of our fave footwear categories as we have such a variety of styles and colours and they are super comfortable and stylish no matter the occasion. 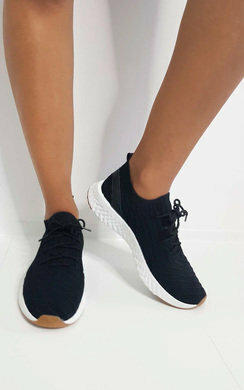 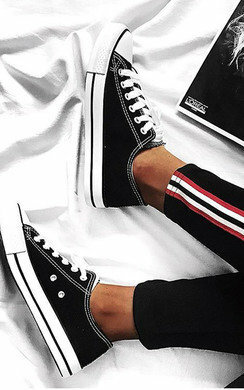 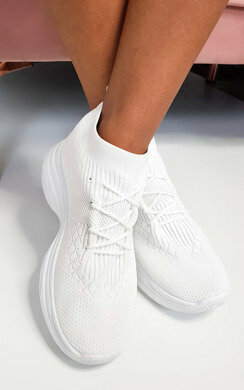 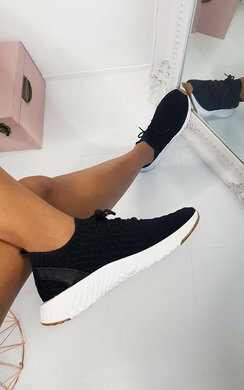 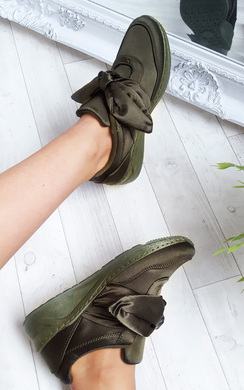 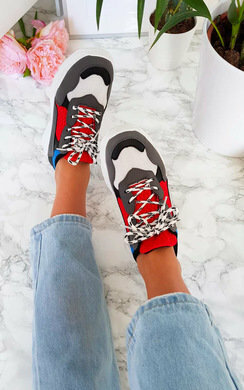 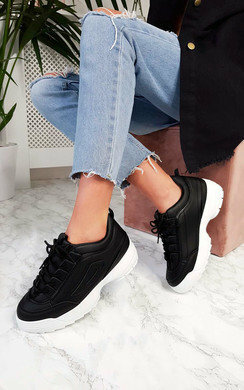 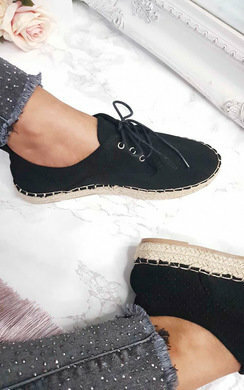 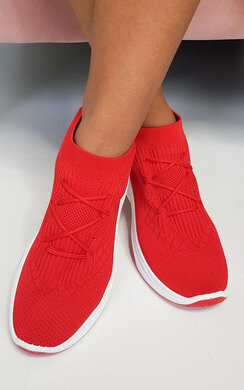 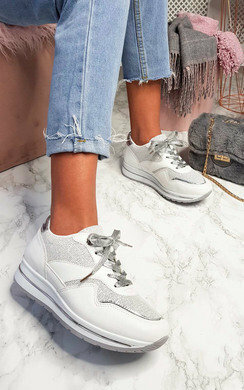 If you are looking for a sporty spice look with a classic pair of lace up trainers, we have many styles such as our ‘Bali’ that ooze a relaxed and casual vibe while remaining extremely on trend and fashionable. 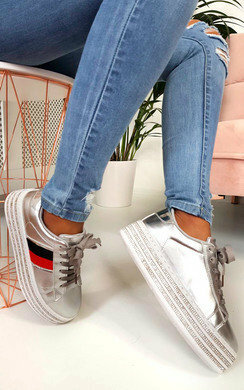 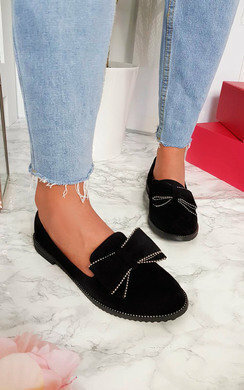 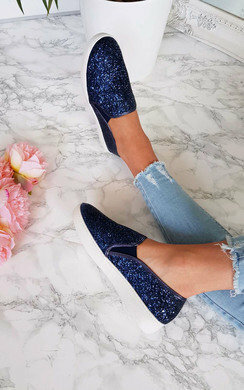 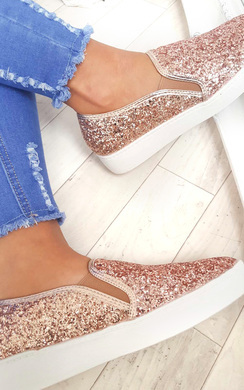 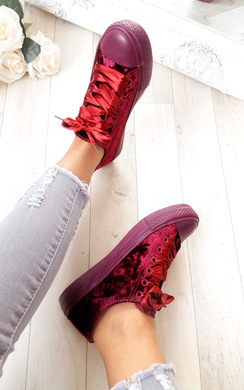 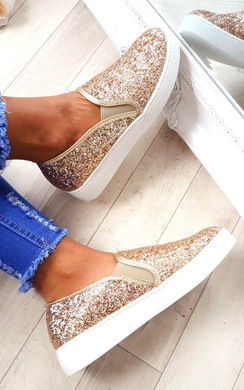 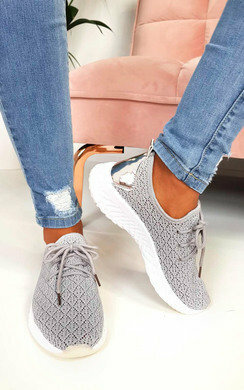 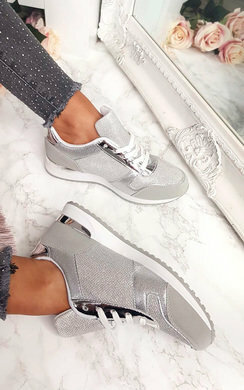 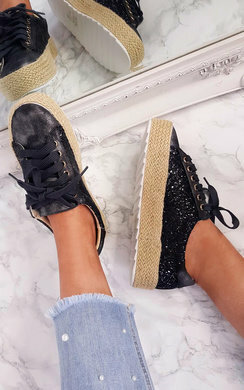 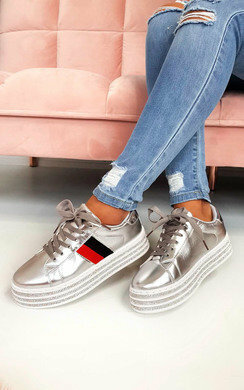 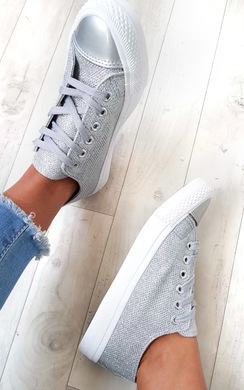 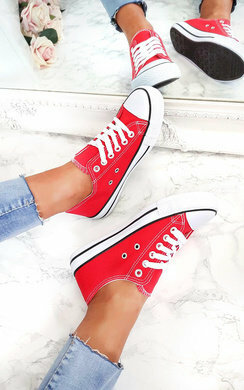 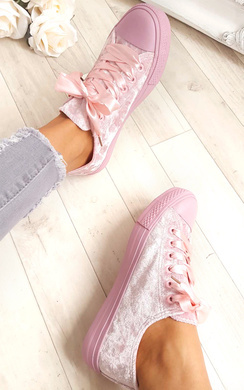 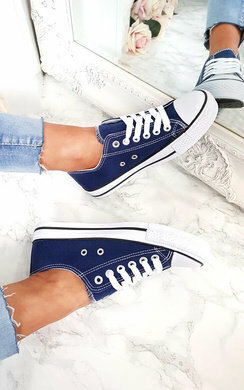 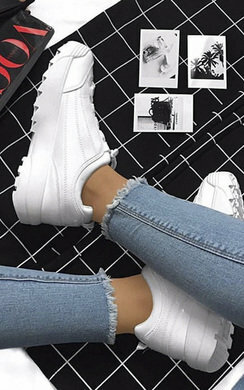 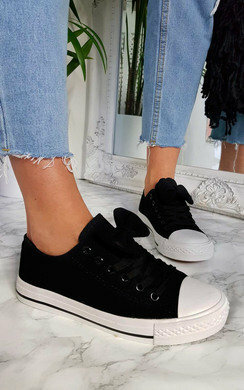 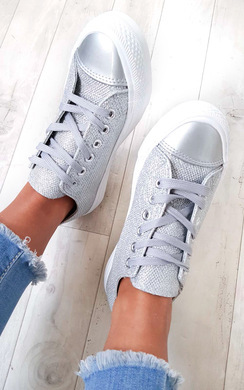 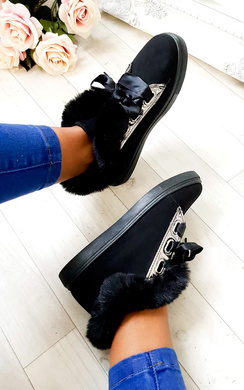 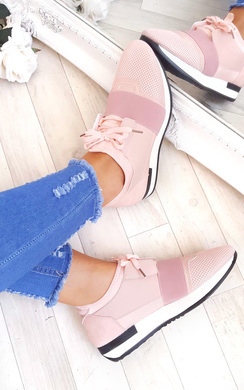 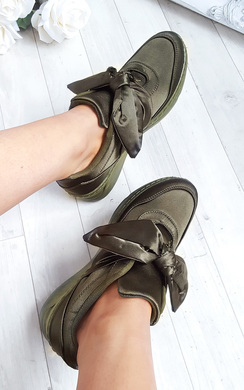 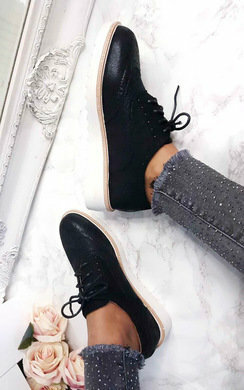 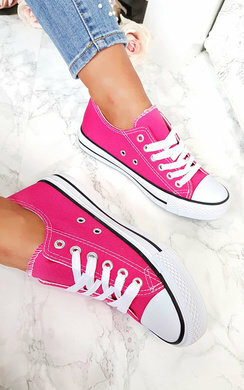 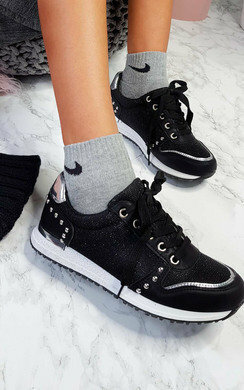 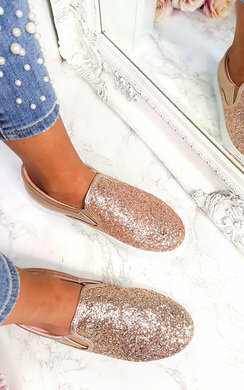 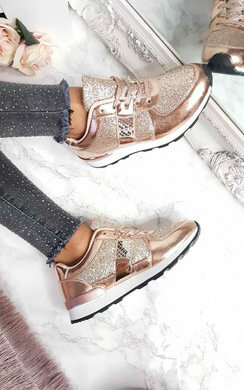 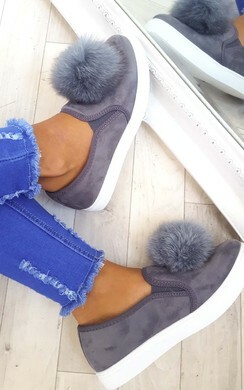 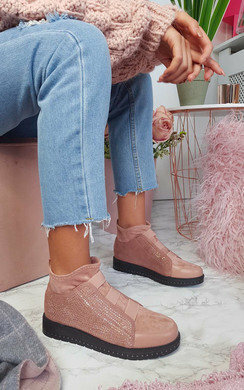 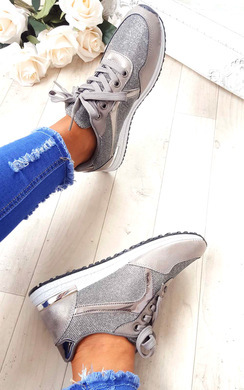 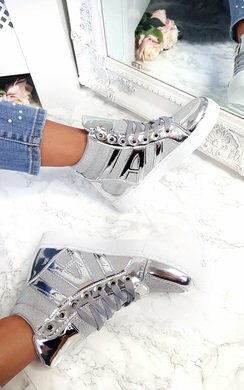 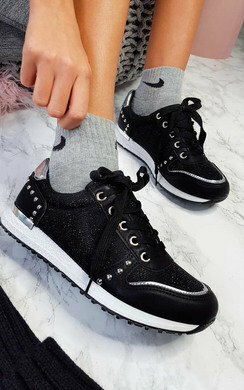 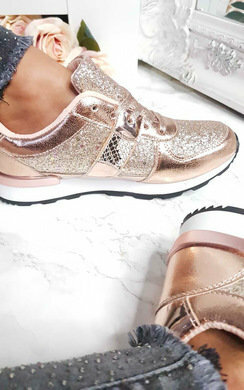 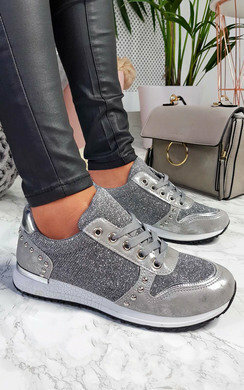 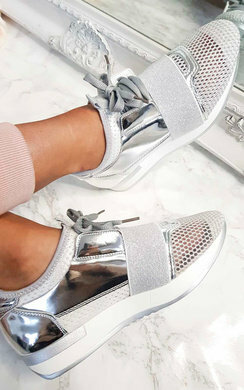 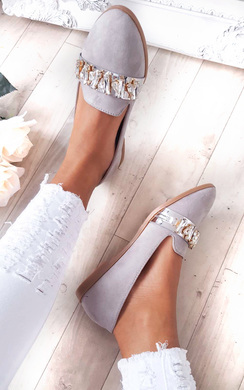 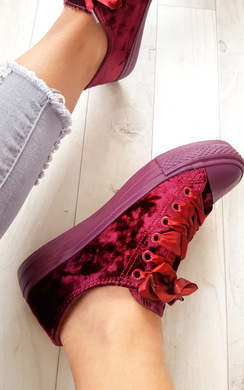 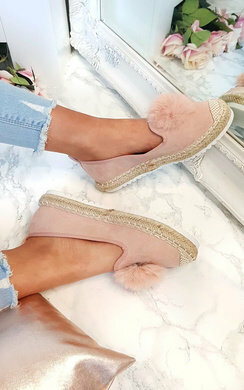 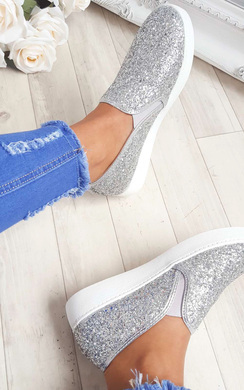 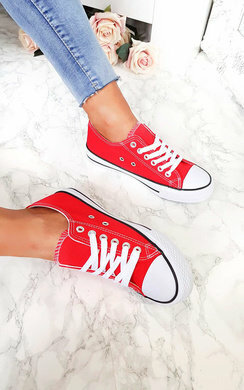 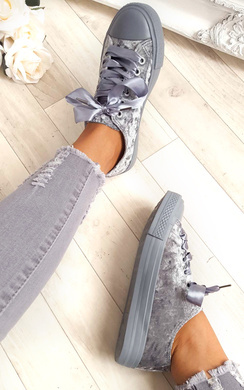 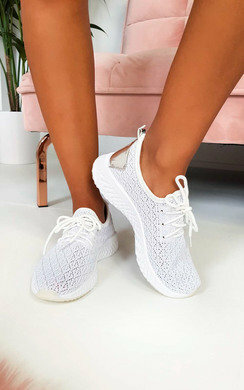 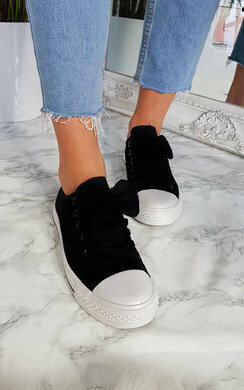 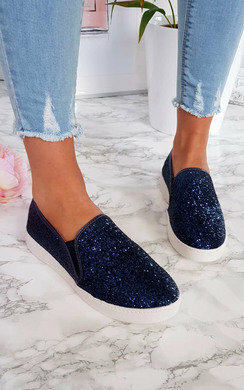 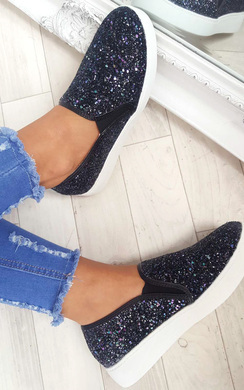 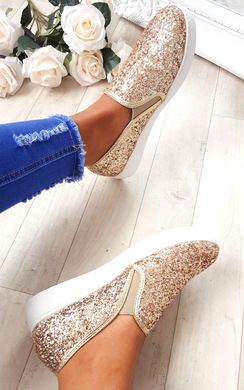 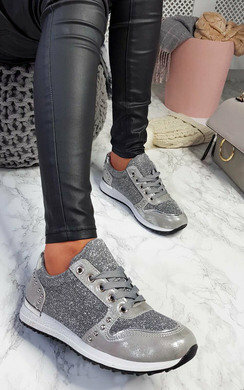 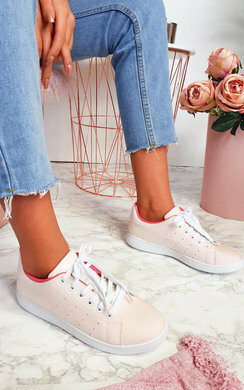 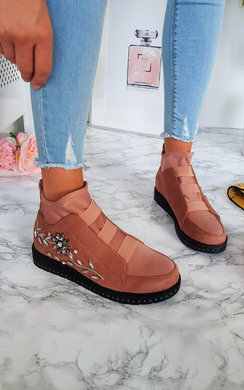 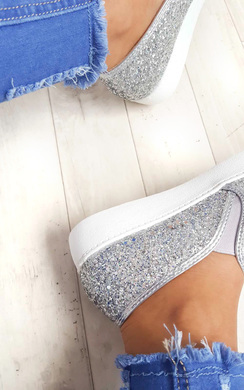 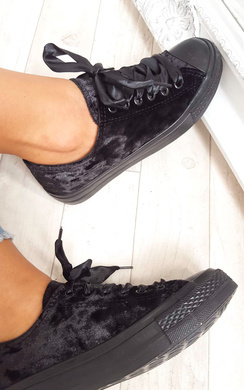 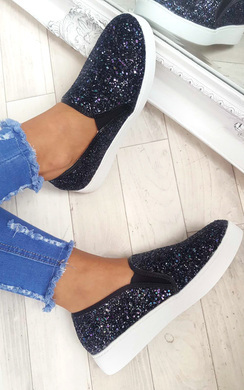 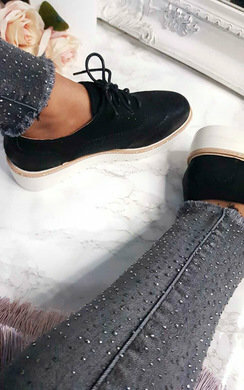 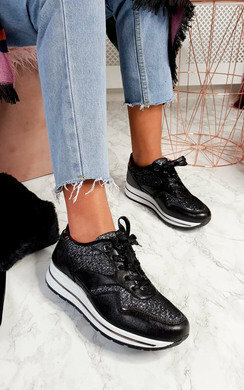 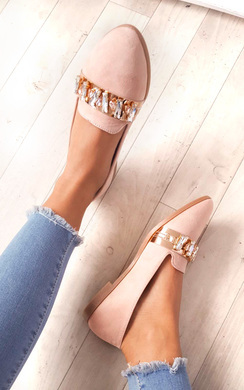 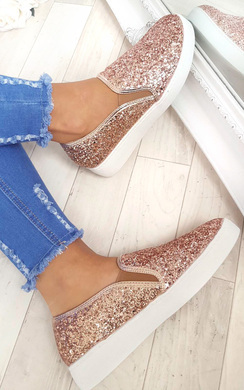 If it is a more trend driven pair of trainers you are looking for we have so many with diamante embellishment and ribbon laces that are super cute and girly and perfect to pair with a pair of skinny jeans. 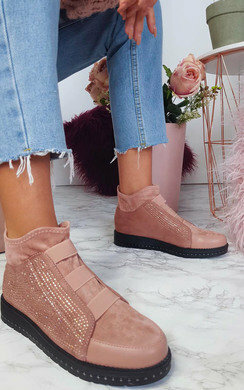 From faux leather material to faux suede, matte pastel shades and metallic shines we really do have something for everyone. 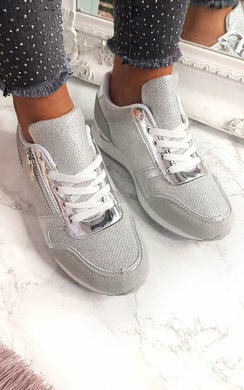 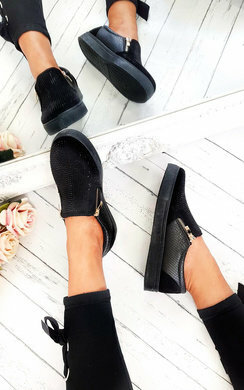 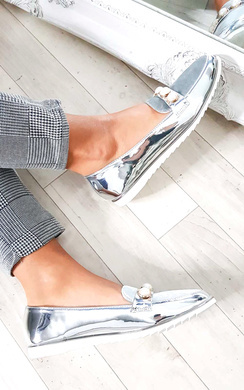 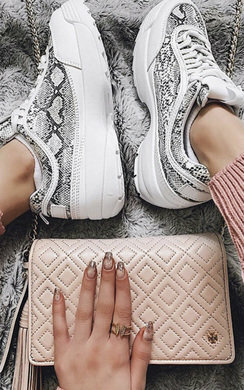 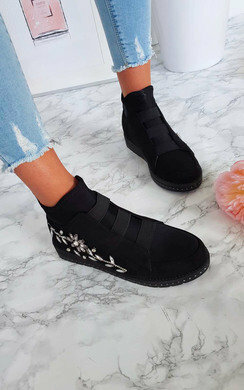 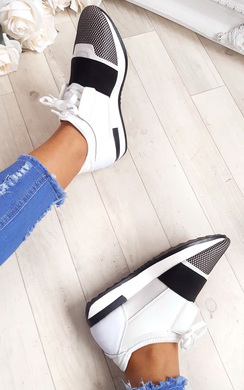 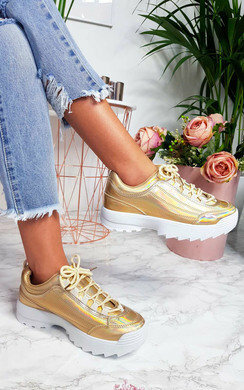 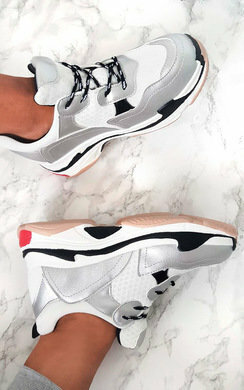 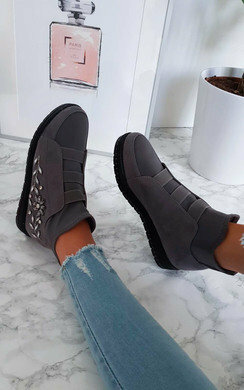 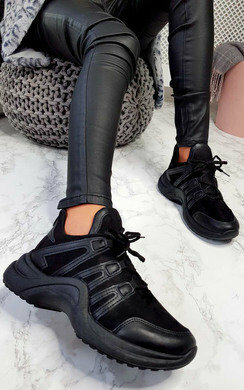 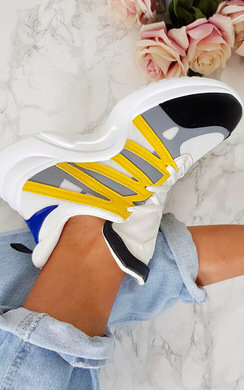 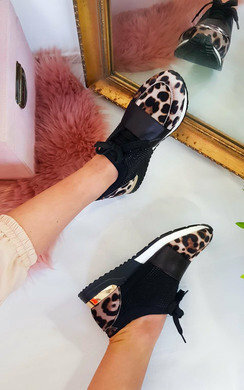 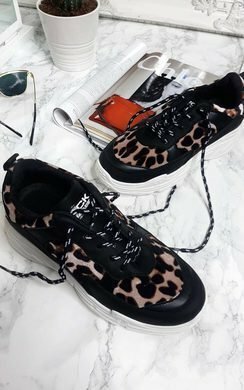 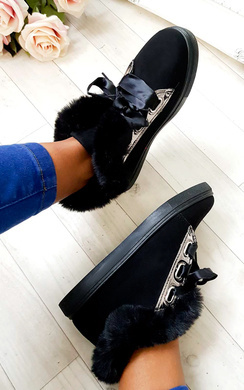 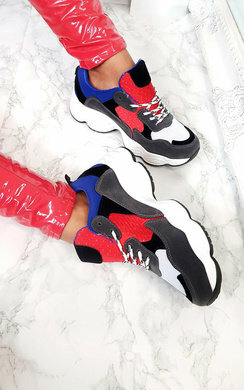 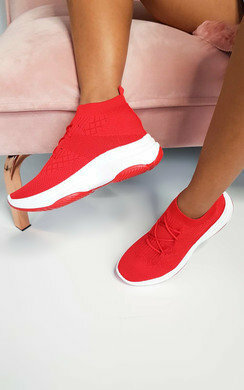 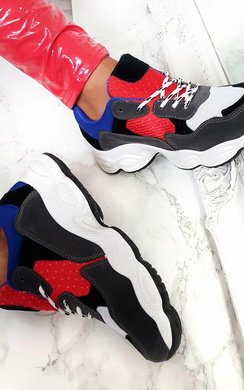 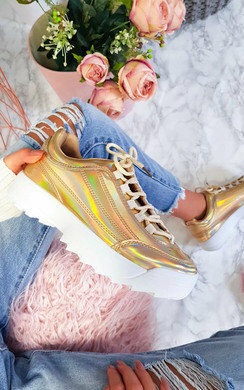 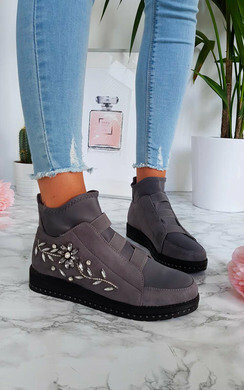 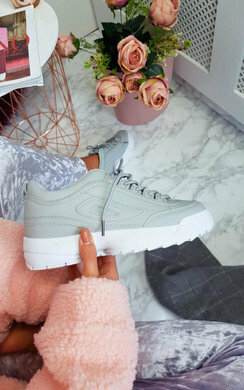 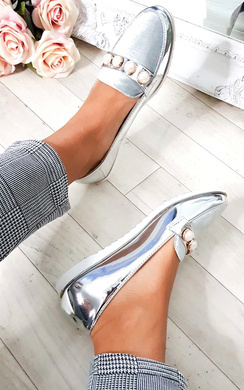 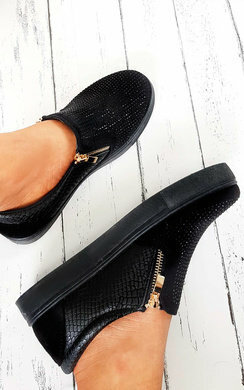 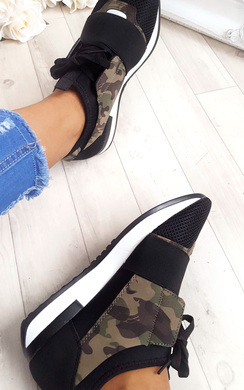 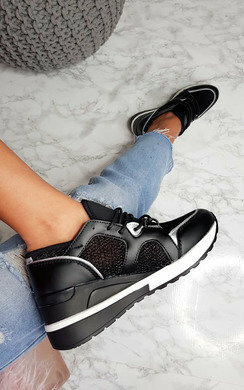 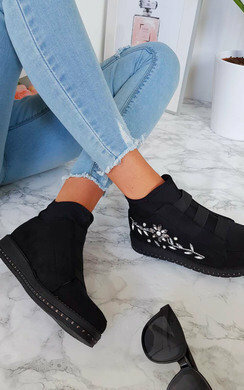 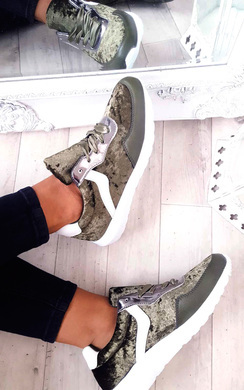 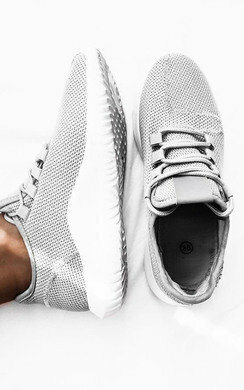 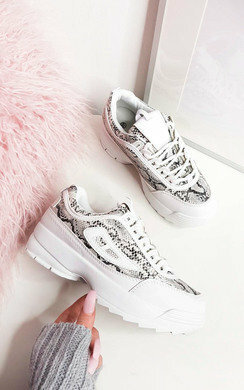 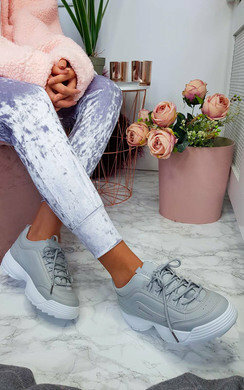 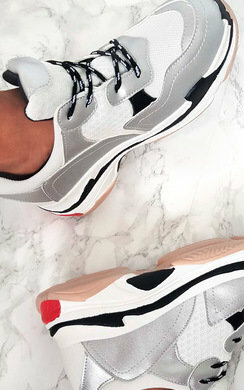 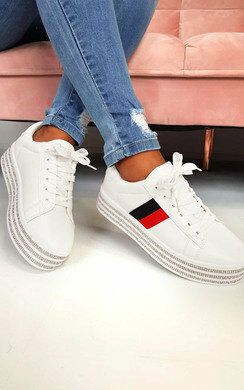 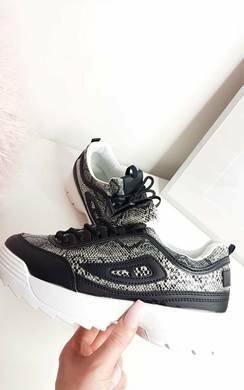 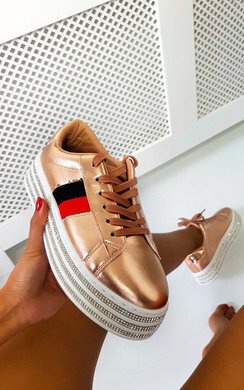 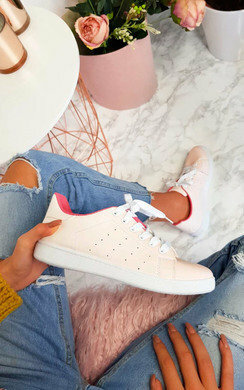 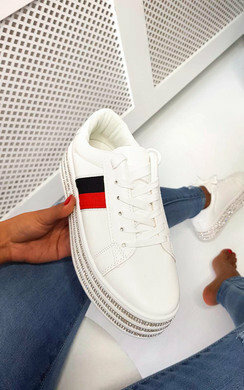 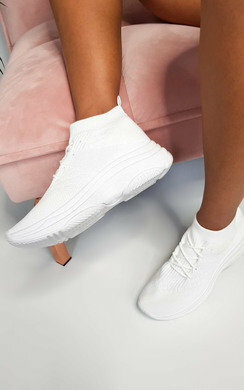 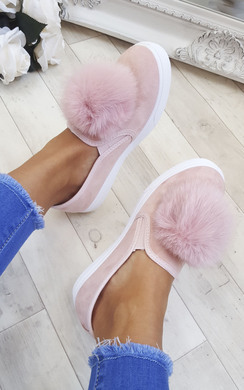 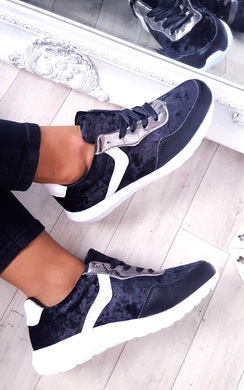 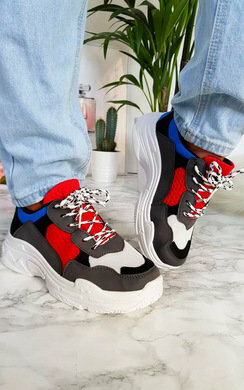 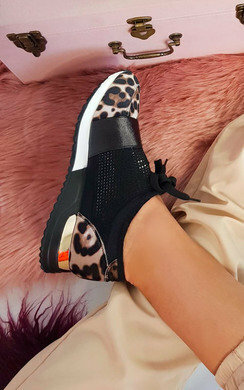 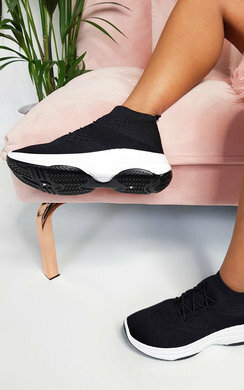 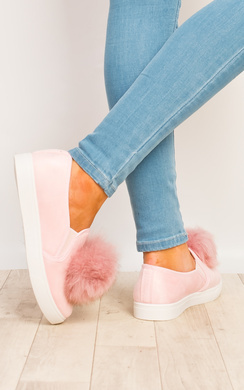 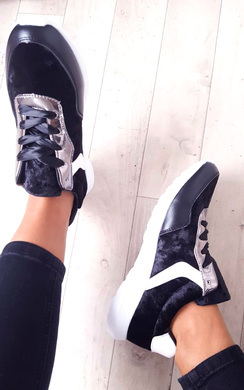 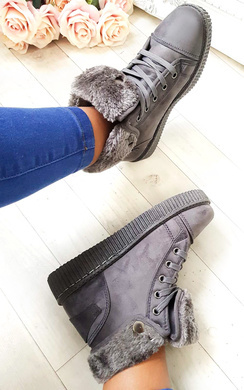 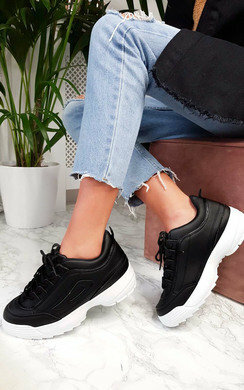 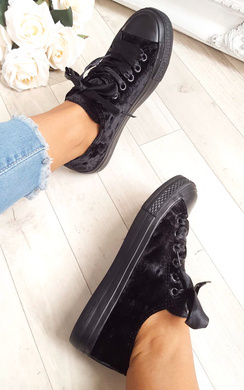 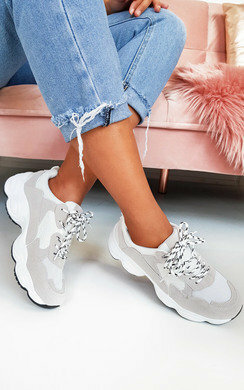 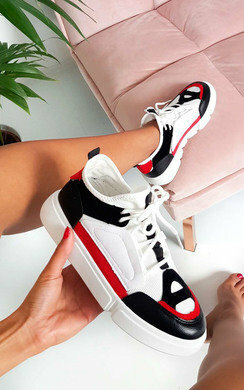 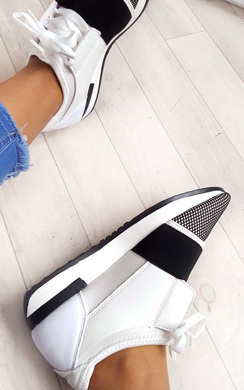 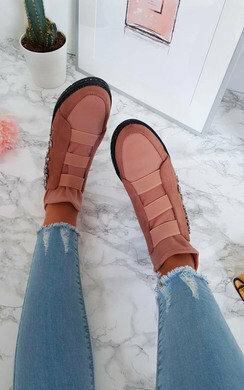 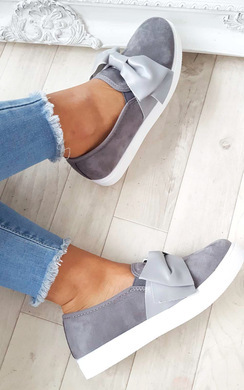 Not only are our trainers such an affordable price, they are all of course on trend, celebrity inspired and the best part.. We update our styles on a weekly basis so you can get your hands on the new in must have footwear of the season at the click of a button. 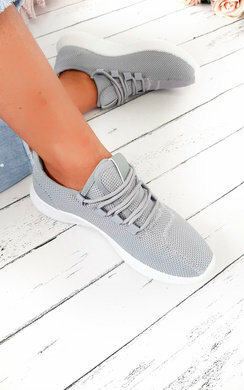 We have so many styles of trainers here at IKRUSH so you better head over to our clothing category quick to get some inspiration on what you can pair your new kicks with!